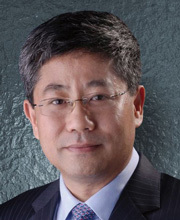 Professor Chong-En Bai is Dean and Mansfield Freeman Chair Professor of the School of Economics and Management of Tsinghua University. He is also the Director of the National Institute for Fiscal Studies of Tsinghua University. He earned his Ph.D. degrees in Mathematics and Economics from UCSD and Harvard University, respectively. His research areas include institutional economics, economic growth and development, public economics, finance, corporate governance and Chinese economy.